The Kiera Knightly/Matthew Macfadyen version of Pride and Prejudice is by far the best one in my opinion also. Mr Darcy wins every single time! I don’t understand the whole fascination with Mr Grey, well I do, but I don’t,lol. 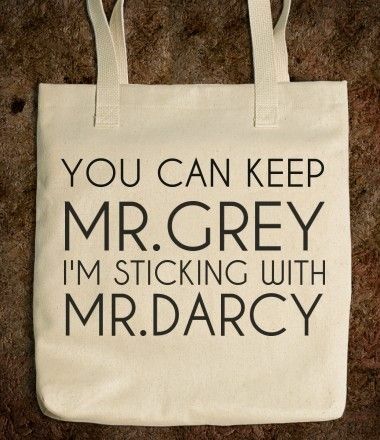 Mr Darcy it shall be! I love my gentlemen. No no, all of the offense. I hate you, Christian Grey. You’re an abusive dom and you disgust me.